At CES 2019 I got a chance to take a peek at the Unravel in person and was really impressed with the design. While everyone was waiting for AirPower to arrive, here was this company with not just a triple charging pad but one that could fold up to pack and even transform. With the hot-off-the-press news that Apple’s AirPower project is dead, the Unravel looks better than ever. 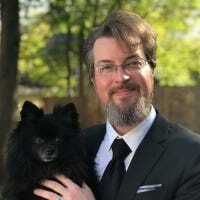 The project was then a successful Kickstarter gearing up for distribution and is now available for purchase on Amazon so everybody can get in on the clever design without a trip to CES or playing the Kickstarter lottery. But should they get in on it? Let’s take a look at the design and features of the Unravel. When you first unpack the Unravel it looks a lot like a Jacob’s Ladder toy, folded up and waiting. Like a Jacob’s Ladder the design is pretty clever (but far more useful for our modern needs). The charger is three separate 10w wireless charging panels all hinged together and powered by an included 60w USB-C charger. 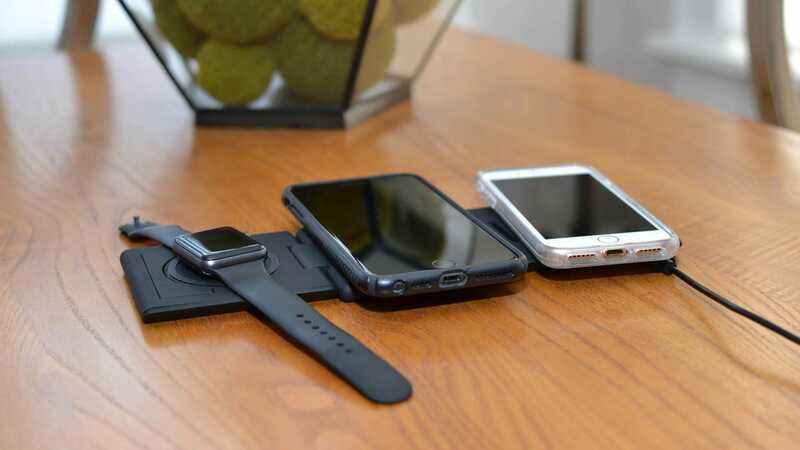 All three panels offering Qi wireless charging which you can use with any Qi compatible phone including the iPhone 8 and above, the Samsung Galaxy S9 and S10 lineups, the Google Pixel 3, as well as Qi-compatible accessories like these wireless AirPod cases and Apple’s own wireless charging case. In addition to that, one of the panels is not only a general Qi-compatible charging pad but will also charge your Apple Watch. When completely folded up as it is in the photo above the charger is still fully functional, but only the top charging pad is operational. This position is handy if you don’t need to use all the pads or you want to drape your Apple Watch over it (if you’ve got a particularly stiff curled band that just won’t lay flat). Speaking of that, it’s a great design choice to put the one panel that supports the Apple Watch at the top of the stack like this so you’re able to use the charger, in the “single stack” mode, the way you want. The second way you can use the charger is to completely unfold it flat. 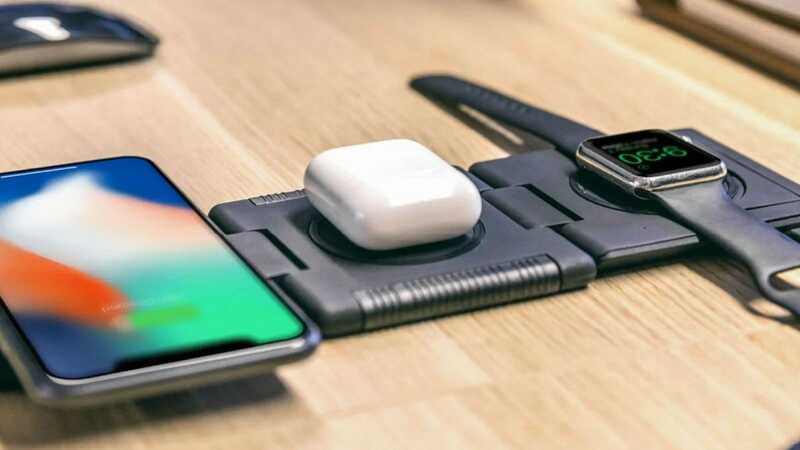 In this position, you can charge three devices be it three different phones or a mix of phones, an Apple Watch, and other accessories like the AirPod wireless charging case. Finally, there’s a really clever third position you can use your Unravel charger in: stand mode. 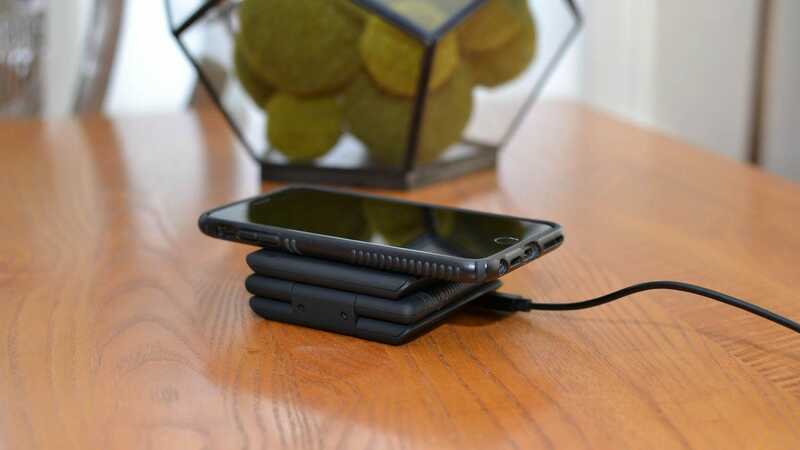 By folding the charger flat and then continuing to fold the charger until the two outer edges magnetically click together, you create a stand. In this position the sides of the triangle are roughly 45 degrees and, by pivoting out a small recessed lip from the face of one of the panels, you have yourself a handy little stand that supports your phone in either landscape or portrait mode. As if that weren’t cool enough, despite my initial belief that there was no way my Apple Watch would stay in portrait mode while the charger was set up as a stand, it does it fact work. That’s pretty great for those folks who like to use the Watch’s Nightstand Mode. Just be sure to hold it there for a moment to get a firm connection with the magnetic base or it’ll slide down. How Does It Fair In The Real World? Everything I just described in the previous section sounds great on paper, but how well does the Unravel function out and about in the world? I’ve used the Unravel as both my primary wireless charger at home and while traveling for the last two months and I have nothing but good things to say about it. It charges all my devices, Apple Watch included, as quickly as any of my other charging stands (but you know, times 3 devices). When traveling, my wife can easily drop her phone onto it to charge without fussing with plugging it in. You get all the benefits of a wireless charging stand without actually having to pack a full-size wireless charging stand to take on the road. For somebody like myself—who has become incredibly accustomed to having their phone propped up in a stand right in front of them while working at their desk—it’s so nice to take a stand on the road without the hassle of packing the full-size and inflexible one that’s on my desk right now. Sturdy premium stands, like the Logitech Powered, are great if they aren’t moving anywhere but impractical to take on the road. Really, if you’re in the market for a flexible wireless multi-device charger the only thing that might give you pause is the cost. 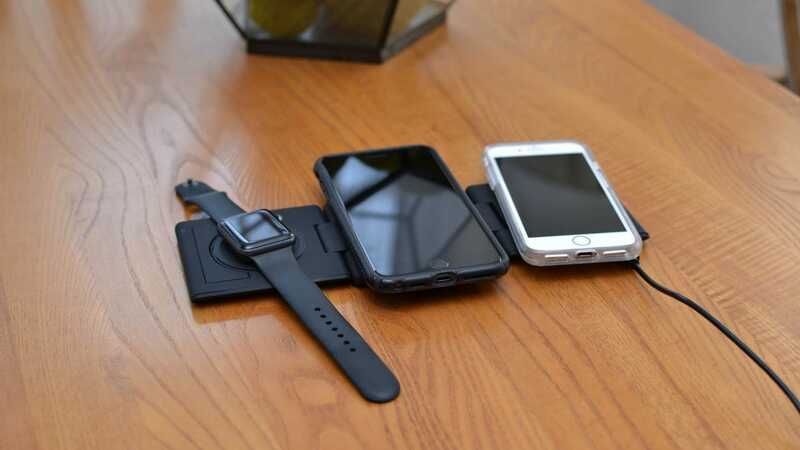 While not unreasonable for what you get (a premium quality triple-panel wireless charger that also supports your Apple Watch and comes with a nice 60w USB-C charger and cable) $99 is, well, $99. Still, when you consider that a nice 60w USB-C will run you $35-40, the price is a bit more palatable. Cost aside, however, we’re struggling to come up with anything negative to say. 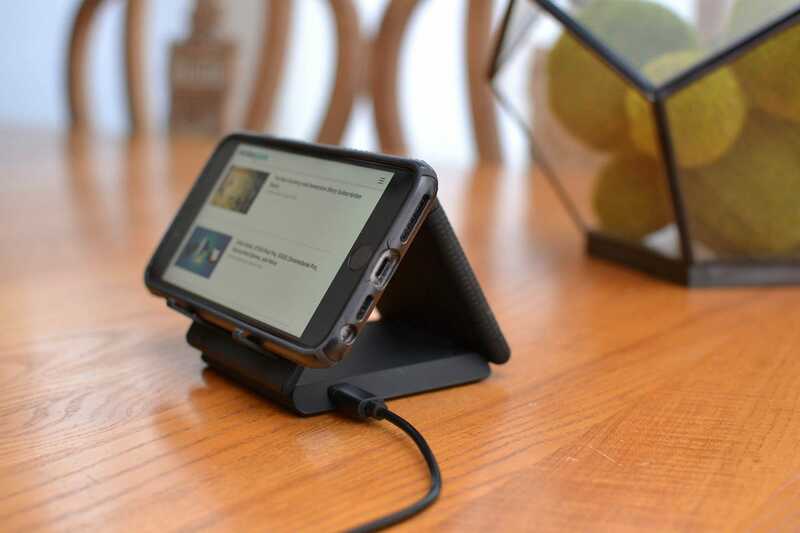 It’s cleverly designed, it works well, packs light, and offers more versatility than any other charging pad or stand we’ve used, tested, or reviewed. If you’re in the market for a really flexible wireless travel charger, it’s a tough product to turn down.